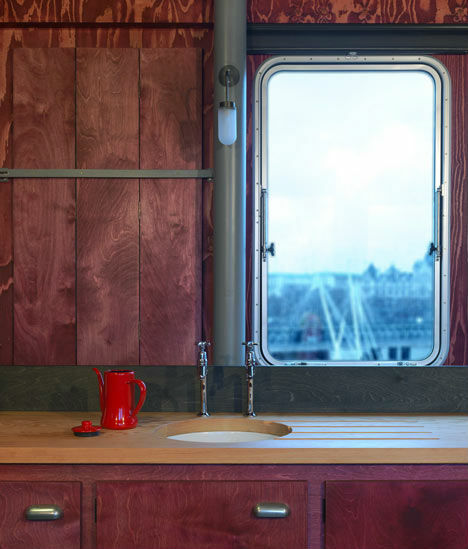 Sailing through the clouds in a riverboat perched atop Queen Elizabeth Hall in London may sound like a strange and surreal dream, but some travelers are set to do just that as ‘A Room for London‘ opens to guests. 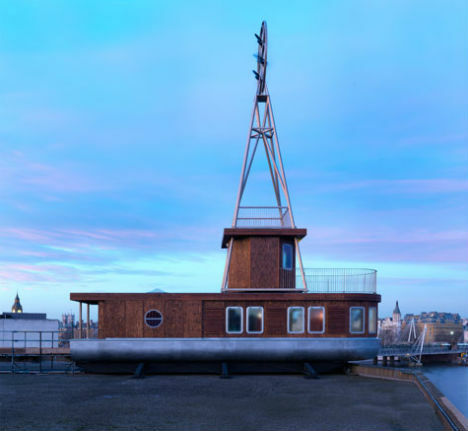 The temporary boat-shaped apartment was commissioned by Living Architecture to celebrate the Olympic year of 2012. 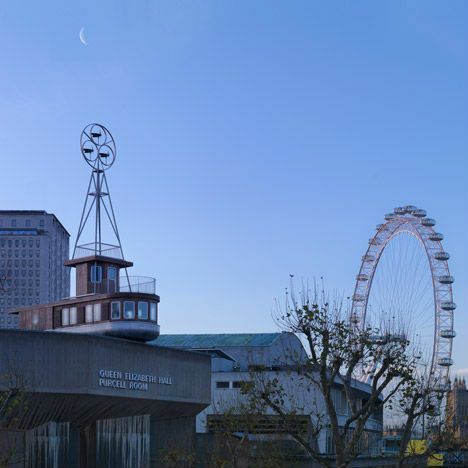 The winner of a competition that saw entries from five hundred architects and artists from around the world, this design by David Kohn and Fiona Banner was inspired by the riverboat Roi des Belges, captained by Joseph Conrad in the Congo in 1890, which served as the basis of his novel Heart of Darkness. 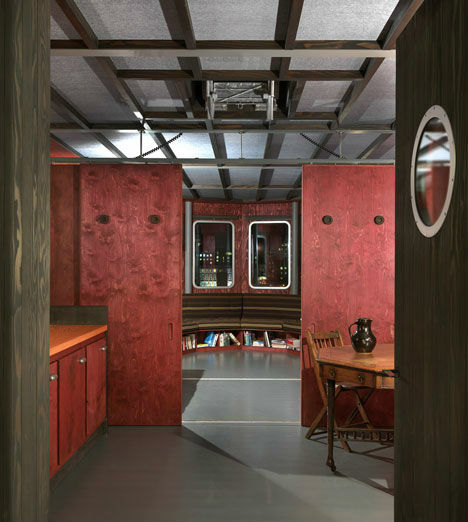 A Room for London is “of no distinct era in terms of its style, neither recognizably modern nor old-fashioned,” Living Architecture notes. 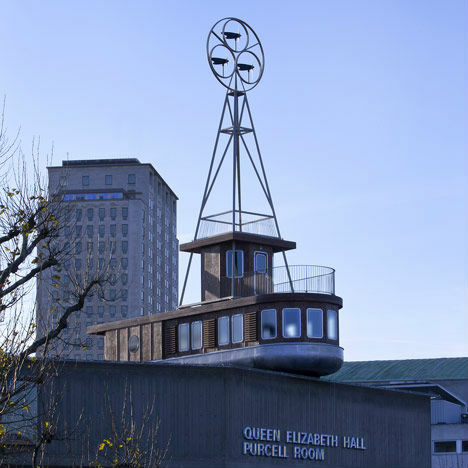 From its perch atop Queen Elizabeth Hall at the Southbank Centre, it proffers views of the Thames and will be a prime location from which to gaze out at the bustle of the city when the Summer Olympics start in June. 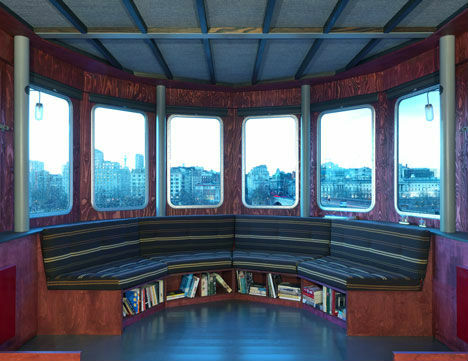 The riverboat room features an upper viewing deck and a striking magenta-and-turquoise interior including a double bedroom, kitchenette and library. 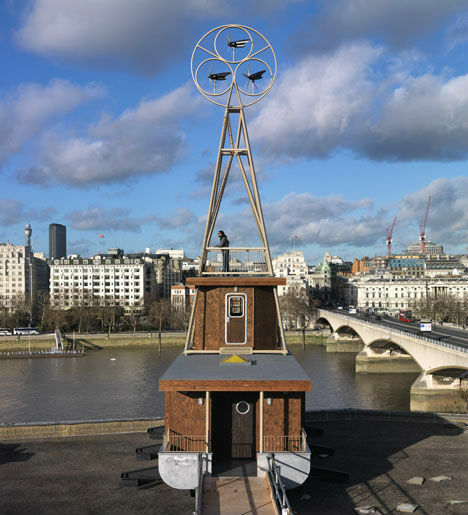 The first run of bookings, which run through June, has already sold out, and the second run, for July through December, go on sale today, January 19th 2012.